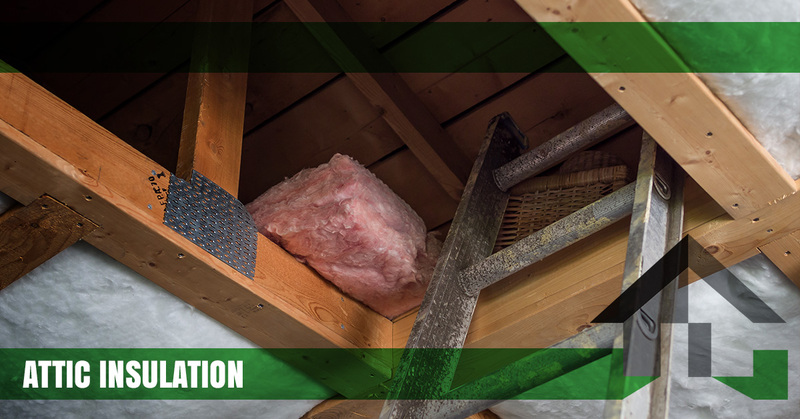 Attic insulation is one of the most important aspects of any home, but it’s difficult, dangerous, and time consuming to try to install it on your own. Insulation installation requires specialized gear, knowledge, and time, and if you’re like most Denver homeowners, then you probably have enough on your plate as it is. Insulation Pros of Colorado proudly offers attic insulation installations in Denver and the surrounding areas that allows you to focus on the important things in your life. Get in touch with us today for a free estimate, and continue reading below to learn more about attic insulation. There are a few areas of the home that are important for energy efficiency, and the attic is perhaps the most important. You probably have your heater running during the winter, and hot air will easily rise through your attic and out of your home without a properly insulated attic. The summertime heat in Colorado requires many Denver homeowners to run their air conditioners constantly, and without proper attic insulation, your HVAC system may be working overtime to maintain a stable temperature in your home. In addition to raising the bottom line on your monthly utility bills, this sort of performance is unnecessarily hard on your heating and cooling system. The last thing you want is to have to replace your HVAC system while also paying a high utility bill each month, so take advantage of opportunities that will increase your home’s insulating capabilities whenever possible. Many homes in the Denver area were constructed decades ago, and homes built before 1970 probably have shoddy insulation, or no attic insulation at all. Even if your home was built recently, ensuring that your attic insulation is up to current standards is always a good idea. Your home’s insulation may have become compacted and dense after years of sitting in the same place, or it may be becoming clogged and filled with dust. Either way, you should think about contacting our insulation contractors if it has been more than 15 years since your attic insulation was replaced. Contact Insulation Pros of Colorado Today! Insulation Pros of Colorado is proud to be the Top Rated Local® insulation company in Denver and the surrounding areas. We’ve helped hundreds of homeowners around Colorado install high-quality insulation in their homes, and we would love to help you, too. In fact, we take so much pride in our work that we’re happy to let our reviews speak for themselves. Our unparalleled service begins with a free in-home estimate. Our experienced insulation contractors will provide you with a free energy assessment that allows you to see where your home is losing energy. We’ll then recommend several products which could increase your home’s comfort and energy efficiency without exceeding your budget. Unlike other local insulation companies, we won’t add hidden fees or extra costs to your bill after the installation is completed. Are you ready to equip your home with the attic insulation it deserves? Contact our insulation contractors today! We look forward to working with you soon. As a trusted provider of Owens Corning insulation products, we lead the local industry in both pricing and customer satisfaction. Utilizing our vast knowledge that only decades of experience provides, we strive to discover and implement the best solutions for money-saving and comfort-enhancing energy efficiency. After a comprehensive property assessment, we’ll pinpoint just where your home or office is losing precious energy. Backing our professional team with superior products, highly efficient techniques and innovative equipment, we use precision and skill to ensure proper installation with every project. As experts in building insulation, we believe in providing both residents and business owners a true evaluation of their needs before we ever begin their insulation project, therefore we proudly offer no-risk, no-obligation energy-efficiency assessments, allowing us to discover the extent to which energy is being lost. ©2018 Insulation Pros of Colorado | All Rights Reserved.